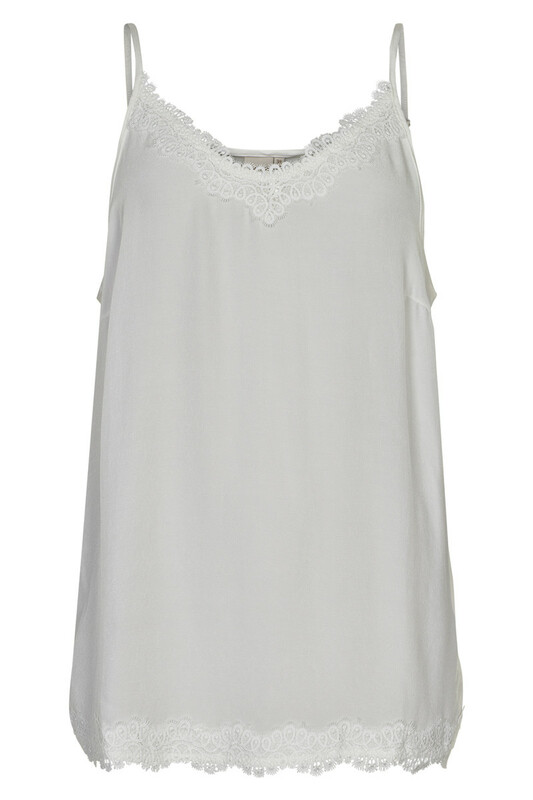 Cute top in pleasant viscose quality from Cream. Top has a lace part at the v-neckline and bottom, creating this feminine and elegant expression. 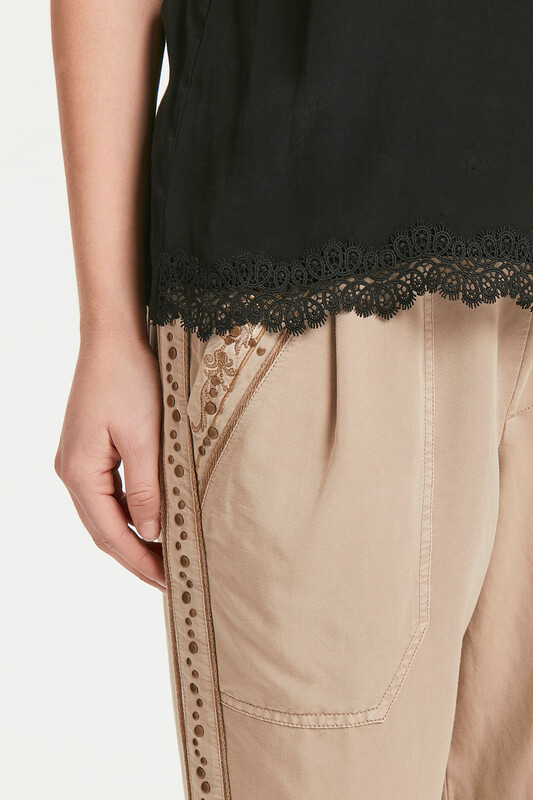 The lace top has adjustable straps and a regular fit with an oversized look. An absolute must-have in any wardrobe. Use it with a pair of pants and a cardigan for a casual yet feminine outfit.